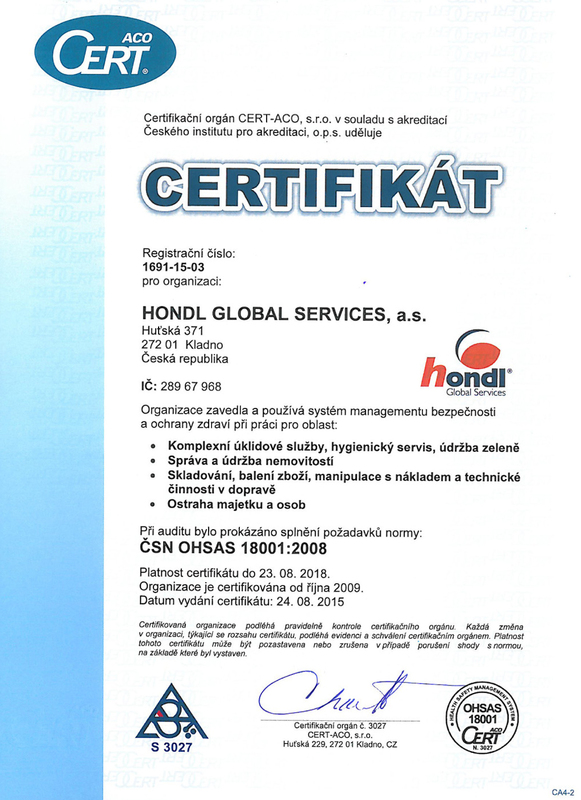 Certificates and awards | Hondl Global Services a.s.
All internal processes in HONDL GLOBAL SERVICES, a.s. are managed in accordance with the quality management system ISO 9001, ISO 14001, OHSAS 18001 and ISO 27001 Information Security Management. 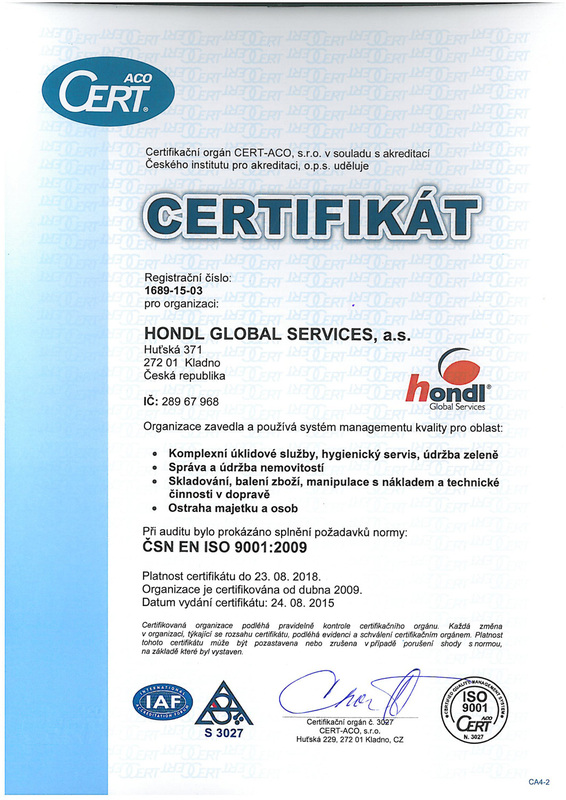 We are certified as a „Qualified Supplier“. 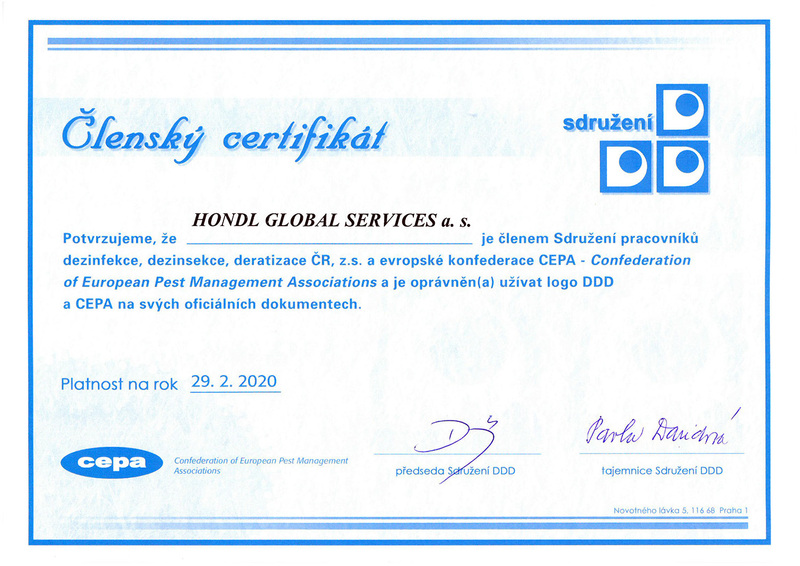 We are members of the Czech Association of Cleaning (CAC), members of the European Federation of Cleaning Industries (EFCI) and the Czech Chamber of Commerce. 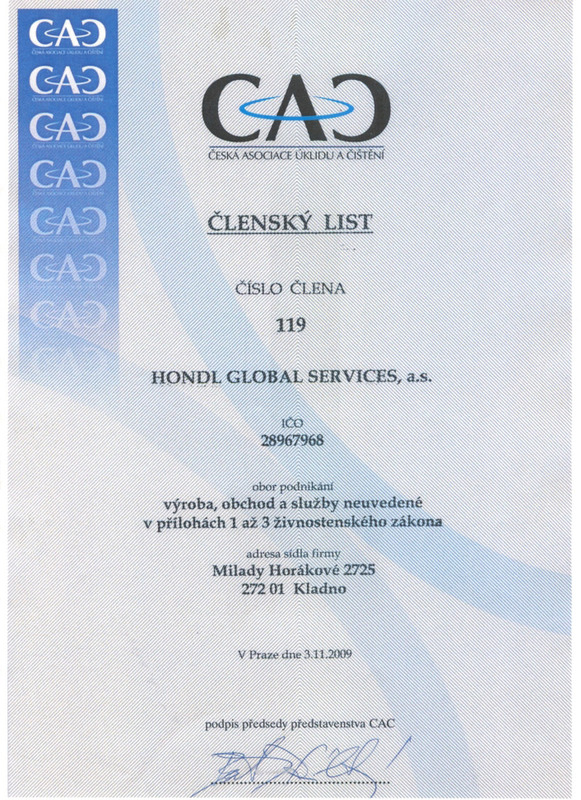 We employ agency workers under a licence of the MLSA. We put emphasis on individual approach, safety and quality of work. 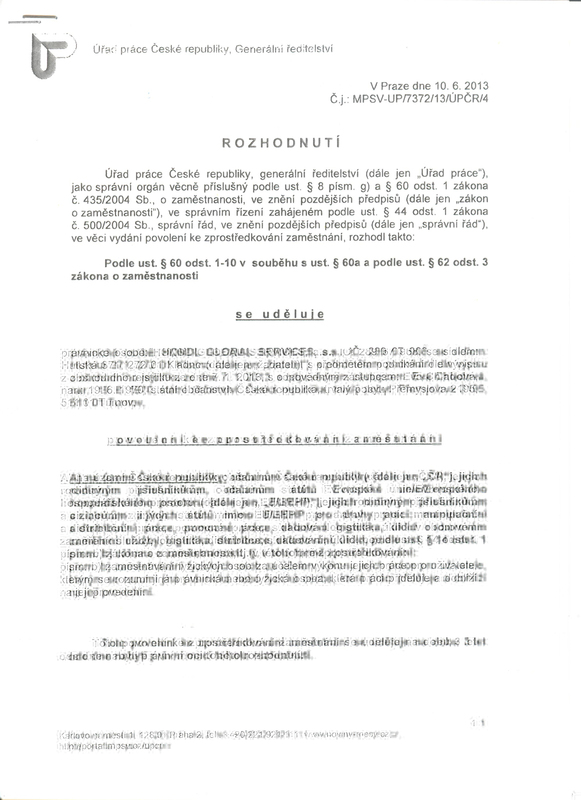 We comply with GDPR principles. We have been specialising in cleaning since 1998, as a joint-stock company then since 2009, and our services are used by hundreds of clients of various sizes every year. With us, you can be certain that your facility will be taken care of well, too. 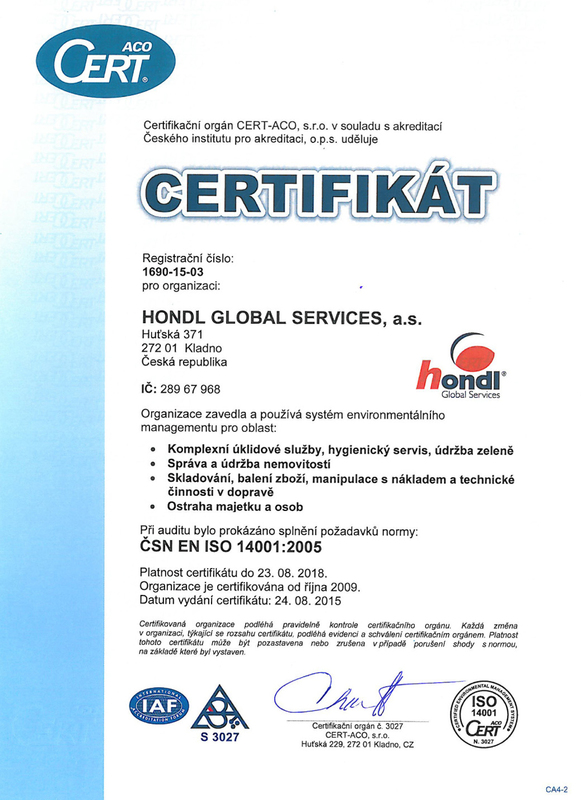 Hondl Global Services, a.s. is environmentally conscious. By using environmentally friendly detergents, it contributes to mitigating the impacts of its business on the environment. 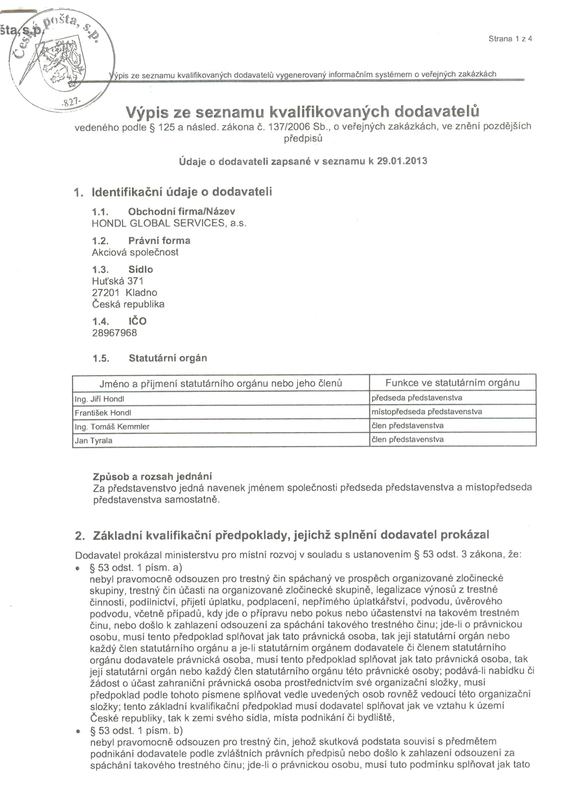 The products are registered in the EU Ecolabel Product scheme.